Amy Wishman Nalan has the distinction of being our very first supporter on Patreon. By supporting us with $1 a month, she’s getting a shout-out on our show (episode #48 to be exact), and a shout-out here on the website. But most of all, she’s helping us to produce the best show we can … while still staying a small Kids ‘n’ Pop operation. But instead of a two line shout-out buried on the site, we’re going to take this opportunity to get to know Amy. We’ll do this for any listener who supports us at patreon.com/childrenoftheforce at any amount. So without further furthering, let’s talk to Amy! Children of the Force: Hi Amy! Everyone always wants to know how people come to Star Wars, what it meant to them in the past and what it means to them now. I want to know that, too, of course. But I’m also interested in just who you are. All sorts of people are Star Wars fans. So before we get too deep into Star Wars, could you tell us what sort of person you are? Amy Wishman Nalan: I live in the midwest with my husband, two kids, a dog and two cats. One of my kids goes to kindergarten at the local public school, and another does some third grade subjects at school and some at home. I also work part time at an agency that provides services to individuals with disabilities. CotF: What’s your first memory of Star Wars? Amy: I remember watching A New Hope at a very young age on VHS at home. The part where the Sand People attack Luke really scared me! CotF: What has Star Wars meant to you? Amy: Star Wars was part of the soundtrack of my childhood. I was one of the few kids in my high school to go see the special editions in the theater. When life got busy with marriage, kids, and other challenges I lost sight of many things I had previously enjoyed. Watching movies from my childhood with my own kids served two purposes: it rekindled my own interest in Star Wars and also opened up the galaxy far far away to my kids. Since then, our lives of Star Wars has grown. It was amazing to see TFA with my daughter in the theater, to see Rey through her eyes. 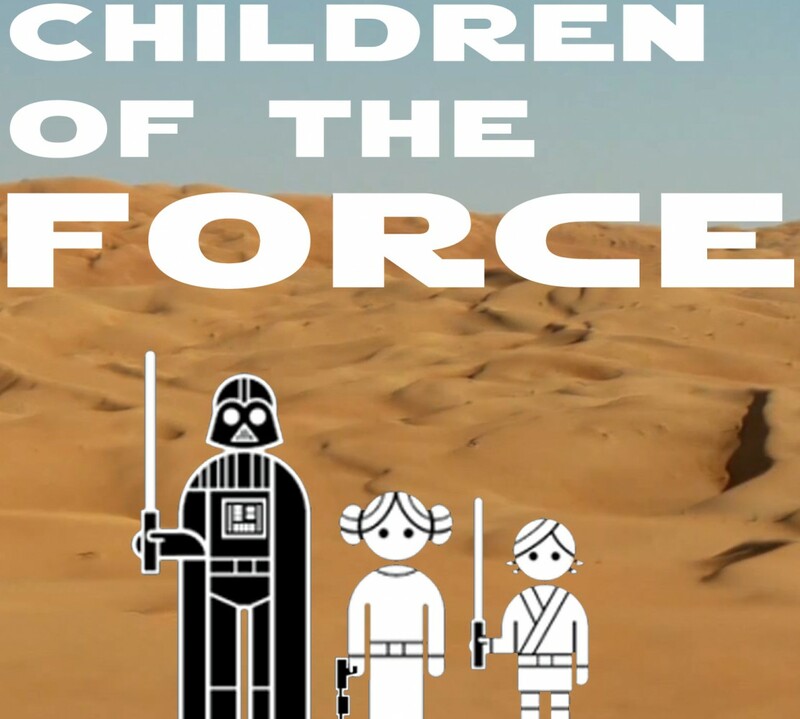 CotF: We love to hear that you’re sharing Star Wars with your kids! What have your kids seen of Star Wars and how have you gone about showing it to them? Amy: I shared Star Wars with my kids by showing them movies I liked as a child. My oldest was immediately captivated. When I shared there were more movies, she was thrilled and soon fell in love with the saga. My youngest likes Lego Star Wars and Rebels especially. One of my favorite memories is watching The Empire Strikes Back with them and the big reveal that Vader is Luke’s father completely shocked them! I will always remember the looks on their faces! Another highlight was seeing The Force Awakens with my oldest. Watching Rey seize the lightsaber and defeat Kylo Ren through her eyes was amazing. She was so empowered, so energized! To think that that is multiplied throughout the world is just incredible. I love sharing the books, comics, and the animation with my kids. I love how expansive Star wars is! CotF: I hear you there. I love how quickly kids across the board have embraced Rey as the new hero of Star Wars. Are you able to choose which is your favorite Star Wars movie? If so, which one is it and why? Amy: My favorite Star Wars movies are A New Hope and Return of the Jedi … whichever one I’m watching! CotF: Which one are you most excited for: Rogue One, Episode VIII, or the Han Solo stand-alone? Amy: I’m most excited for whatever is closest; right now that’s season 3 of Rebels, then Rogue One, then Episode VIII. CotF: I know you listen to quite a few podcasts. What is it about the Star Wars podcasting community that you most appreciate? What do you think Star Wars podcasters could do better? Amy: I do listen to many podcasts. I appreciate podcasts because I don’t have anyone in real life I can have in-depth conversations about Star Wars with, besides my kids. Podcasts and the online community help fill that void for me. I like podcasts that keep the focus positive. Not everybody has to cheerlead 100% of the time, but I prefer a more positive focus rather than listening to someone complain or rip apart things. I appreciate family friendly podcasts. CotF: It’s lightning round time! Favorite Star Wars creature? Amy: If we’re talking aliens: Wookiees! If more animal-type creatures: the Zillo Beast. CotF: If you could have one job in the Star Wars galaxy, what would it be? Amy: Jedi librarian! (Like Jocasta Nu). CotF: Did Boba survive the Sarlacc? Amy: No, the physical clone of Jango Fett did not survive, but the armor survived and the myth/legacy of Boba Fett lives on. CotF: Favorite Snoke theory and/or Rey theory? Amy: I think whatever they do, they will do it well and it’ll be better than anything I could come up with! CotF: Who are your kids going to be for Halloween this year? Amy: Our Halloween costume plans seem to continually evolve, but at the moment, one kid wants to go as C-3PO and one as Darth Vader. CotF: Thanks so much for answering all of these questions and for listening and contributing monetarily to Children of the Force. It means a ton!